Right then, just our mini break to Bruges is fading into the distance so four nights in York looms ahead next week. The journey to Bruges from home took all day. We managed to get an earlier train than planned to Paddington and then a taxi across to St Pancreas which is a most amazing building. We had an hour’s wait at the Eurostar terminal and then we were boarding. For me there was no sense of the fact that we’d gone into a tunnel under the English Channel, only that there was darkness outside for around twenty minutes. Then the first stop, Lille and from there onto Brussels. Brussels station was a surprise. I suppose I had expected some sort of grand station building much like those in London, but that it was not. We had a fifty minute wait and then were on the last leg of our journey to Bruges, arriving at 18.30. 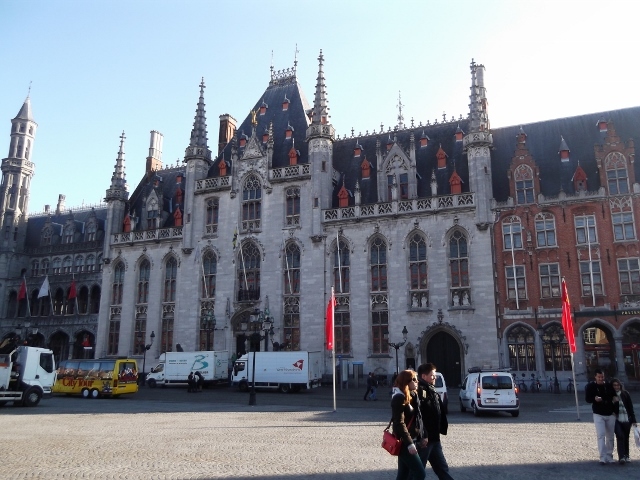 Bruges was brilliant; I’d been there on a coach stopover on my way to Lido Di Jesolo many years before and had absolutely no memory of the place. Hotel Pand, tucked away in a leafy side street was the most brilliant place. A small boutique hotel only offering breakfast and light snacks in the bar, I was totally amazed to come down the first morning and find a table laid with croissants, bread, pain au chocolat, pastries and several offerings of jam. The service in the breakfast room was exceptional, the choice of coffee or tea and the fruit juice arriving with an accompanying small jug to top up and all food cooked at one end of the room on the Aga. And to crown it all champagne! We were so spoilt! The city of Bruges looks absolutely fabulous at night with all the main buildings lit in a dark golden glow. We were obviously there out of season but there were still plenty of people about and a great atmosphere. Food in the restaurants we ate in seems to come with salad rather than the usual UK veg selection but took nothing away from the excellent quality. 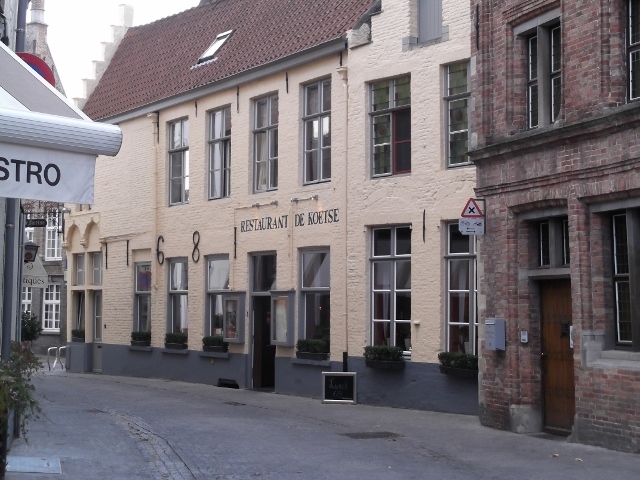 Restaurant De Koeise, where we ate on our last night, did the most amazing steaks! We also found very little choice in wine other than the house variety. As this city abounds with breweries beer was the preferred. The return journey felt a lot easier; there was less waiting and we arrived in St Pancreas around 14.00. The taxi to Paddington took quite a time as traffic was very heavy. It made me reflect on the fact that London, although an amazing city, is somewhere I could never live. 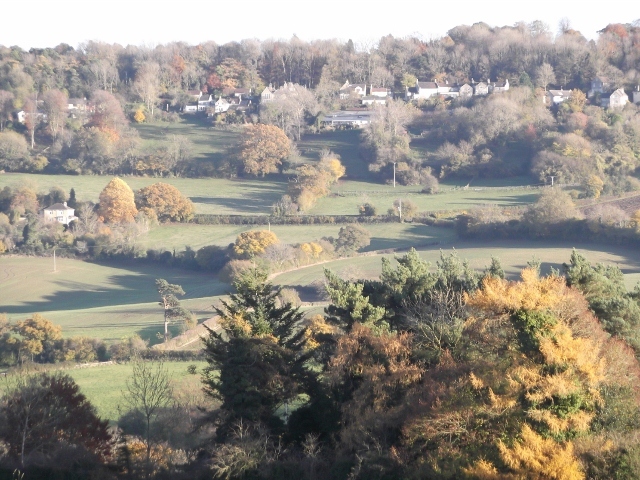 Having been raised in green and pleasant rural Wiltshire and having the benefit of living in a house which backs onto open fields, the thought of city dwelling is quite claustrophobic. As well as the traffic there are so many people rushing to be somewhere. Ah no, I’m definitely a country girl, although I do love the best of both worlds, having the beautiful city of Bath within a short drive of home. Of course Bath has massive traffic problems and during summer months it is busy with tourists, but it still has a gentler feel than our capital city. And so to York next week. I have a tenuous family connection with the city in that my ancestors lived there in the sixteenth century – yes we have a family tree on my Dad’s side which goes back that far! I’ve only been there once on a football weekend (no I did not go to watch the game). Bath City were playing York and four of us went up by car. While the two OHs went to the match, us girls went shopping and visited the Yorvik Centre. It was a good weekend not only to visit the city but because Bath won. This time my OH (who had visited the city many years ago) wants to pay a return visit to the National Railway Museum and I feel more retail therapy coming on. Again we are making the long journey by train but with the batteries charged for my iPod and Kindle plus a window seat I should survive. And now a change of subject: TV Drama. Going away for a week meant loads of recorded stuff to catch up on when we returned. I have to say what is on offer this autumn has either totally grabbed my imagination or left me a little disappointed. First BBC2s Peaky Blinders – such a watchable series about gangsters in post WW1 Birmingham. Cillian Murphy is great in the lead character of Tommy Shelby. The man has such amazing eyes – in one close up scene they were almost pale turquoise. He also has a look of innocence that in a split second can turn to menace – amazing acting. I do love period drama and this is a fantastic example, but what really interests me is the way they have blended a modern-sounding sound track into this drama and it works really well! Next Atlantis. I absolutely love fantasy, anything from Game of Thrones to Lord of the Rings. I was one of many who mourned the passing of Merlin, such a good series. From the first episode Colin and Bradley had me glued to the screen. I think the series had such a good balance of comedy, glamour, emotion, suspense and, of course, a screen full of good looking knights. So how to replace this? Impossible, of course, but looking at the trailers for Atlantis I was quite hopeful something good was coming. However, after three episodes the jury is still out. Mark Addy totally irritates me as Hercules. If he was going to be cast in that role why has he not at least got the strength his character was renowned for to help get them out of the situations caused mostly by his stupidity? Instead he is cast as a lazy, boastful, crafty, boozy and cowardly character without any redeeming features. It just doesn’t cut it with me I’m afraid. Also, all three episodes so far seem to have very little depth to them. They seem very lightweight; the one saving grace is that Jack Donnelly is very watchable! What about Whitechapel ? I loved the early series but this latest one sees me having to suspend belief, so ridiculous at times. Viewing audiences for the most part like to feel what they are watching is credible. Much prefer the less gory Ripper Street and love American Adam Rothenberg’s unconventional Captain Jackson character. It’s coming back on 28th October – can’t wait! And last of all the Grand Dame of TV drama – Downton. Still very much loved and watched – wonderful Maggie Smith’s expressions do as much for her character as her lines do. I was so hoping Lady Mary and Lord Gillingham would get together and sad they didn’t but then it’s far too early in the series and I’ve a feeling he may come back (crossing fingers as he is so lovely). And as for Tom’s night of illicit passion with Edna the maid something tells me although she’s been dismissed those events will come back to bite him, although knowing Edna it will probably be part of a very devious plot. No doubt that’s a storyline in waiting and maybe not until the next series? So that’s it for a while no more to say but much to do. Will blog again once back from northern climes but until then I have back page book blurb and information for the promotional video to organise. Why does there never seem to be enough time? Love Bruges, have only been once but it’s so pretty! Thank for sharing, glad you had such a great time travelling!!! Enjoy York it is a beautiful city, we love it. Brugge too! I love York and have been to Brugge but on tour so didn’t linger to see the sights. Lovely blog and descriptions and photos, thanks. I have not seen the programmes you mentioned but I am so pleased you are getting out and about and enjoying things. I love Inspector Montalbano BBC4 Saturday evenings 9pm (the young and the older characters). One of OH’s things on his bucket list is to take the train from England to France or vice-versa through the chunnel.Have never been to Bruges but your photos are wonderful. 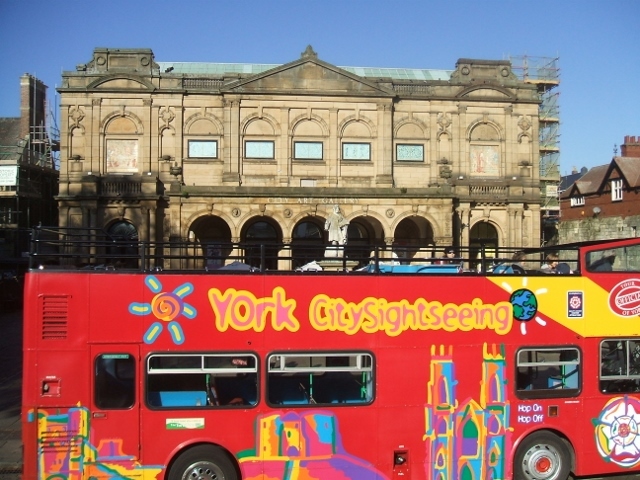 We visited York in 2005 but other than the train museum and a walk to Yorkminster really didn’t see a lot of that fabulous place.